Suitable for medical students, this title includes a chapter on Surgery and Radiology. It contains teaching notes provided alongside each answer to help the reader understand the subject matter. This is a completely updated new edition of our best selling "EMQ" titles for medical students. It includes a new chapter on Surgery and Radiology. It contains teaching notes provided alongside each answer to help the reader clearly understand the subject matter. 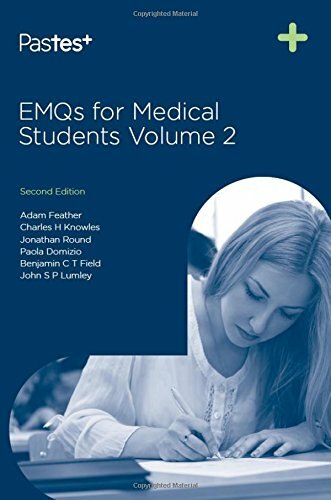 Also available - "EMQs for Medical Students Volume 1, Second Edition" (ISBN 9781905635375), and "EMQs for Medical Students Volume 3: Practice Papers, Second Edition" (ISBN 9781905635443). All questions from Volume 3 are available online free with the book, at website.